Each of our students is given opportunity to perform annually in a professional recital. They also can perform at senior citizen centers, mall events and performances such as benefit shows and Dance Rochester! events. 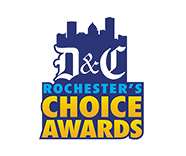 Performances by Dance Connection have raised over $100,000 for various children and adult charities (Webster Comfort Care, Hope Lodge, Gilda’s Club, Seneca Park Zoo, Mary Cariola’s Children’s Center, Journey Home, Golisano Children’s Hospital, Breast Cancer Coalition, Cobblestone Arts Center, Dream Factory, Light the Night, Alzheimer's Association, Muscular Dystrophy Association, Verona Street Animal Shelter, Genesee Valley Rotary Camp, SIS, IacKids…).